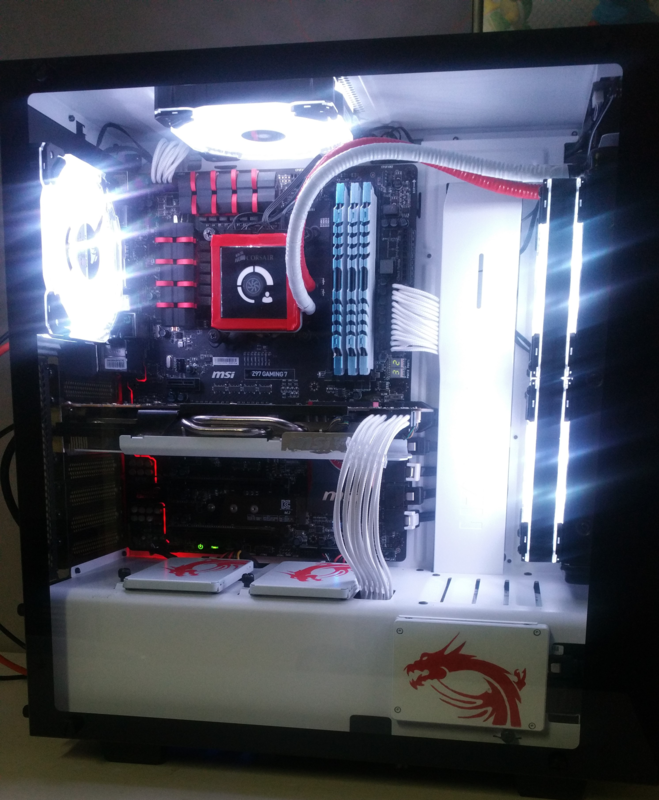 xenimus.com - View topic - Post your Computer Builds! Also the white flair from the LED's are only visible in photos, just looks nice and illuminated in person. Re: Post your Computer Builds! Before being in this case my components where in a case with limited airflow. So I decided to go AIO to help out my GPU a little bit with temps.